Sunderland Clarion Cycling Club is based in Sunderland but welcomes cyclists from the surrounding area and beyond.. The club is a section of the National Clarion Cycling Club. Why Join the Sunderland Clarion Cycling Club? 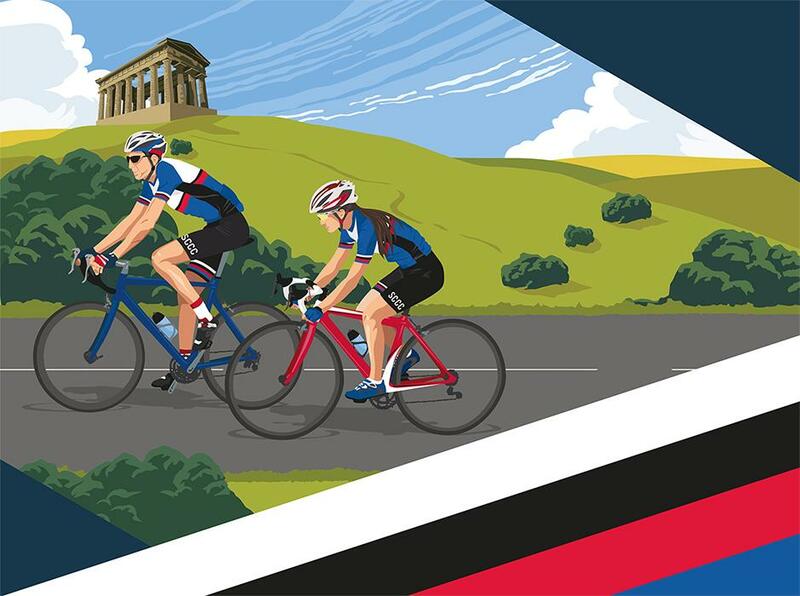 We hope to cater for both beginners and experienced cyclists, leisure cyclists and those keen on racing. Regular club runs; Saturday shorter rides for those new to road cycling and anyone after a shorter raide. Longer Sunday no-drop club runs with a cafe stop and depending who is available, ad-hoc training rides out of the racing season. There are also mid week rides most weeknotified by members on Facebook. We have a keen group of members who like to take to the tracks, so if you have aninterest in this you would be more than welcome to join in. Meet, ride & socialise with like-minded people. Improve your cycling by joining other enthusiasts and share free advice from their (and your) collective experience. Coaching - we have carried out coaching for both beginners and cyclo-cross with our qualified coaches and plan to expand on this in the future to become a GoRide club. Enjoy your cycling more, in a group environment and widen your cycling horizons. We also organise away trips from the Yorkshire Dales and Northumberland to the Alps and Majorca. We organise time trials, road races, cyclo cross races and hill climbs for those who are keen on racing and there are a number of trophies to be won in these and other event througout the year. Access to Clarion Cover 3rd Party Insurance. Access to National Clarion Championship Races, track, road, time trial, hill climb, cyclo-cross. 15% discount from Cotswold Outdoors (NB the Cotswold Outdoor discount code will be printed on your membership card). 15% (*10%) using your Cotswold discount code also at Snow & Rock, Cycle Surgery* and Runners Need. We regularlarly meet up at Shiney Row, Follingsby or Tesco Extra in sunderland (see Facebook for details of rides) every week at for various rides to different destinations. Distances of our Sunday rides tend to be 70-80miles but we do adjust these depending on the riders and weather conditions. Saturday rides will usually be about 30 miles. The club has a wealth of experience and always makes sure that our new riders are looked after on their first few rides. We pride ourselves in riding in a disciplined and safe manner and respect our fellow road users. For example we acknowledge cars that wait and pass us safely, we single file when safe and appropriate to do so. We also slow down for horses and chat to them as we pass, so that we don’t startle them. Our monthly club meeting is at the community room at Tesco Extra at the Wheatsheaf in Sunderland. All members are welcome for the open meeting starting at 8:00 - come along and meet us with a cup of coffee.